Help your students demonstrate their learning and understanding with this five part email series on your states of matter science unit. 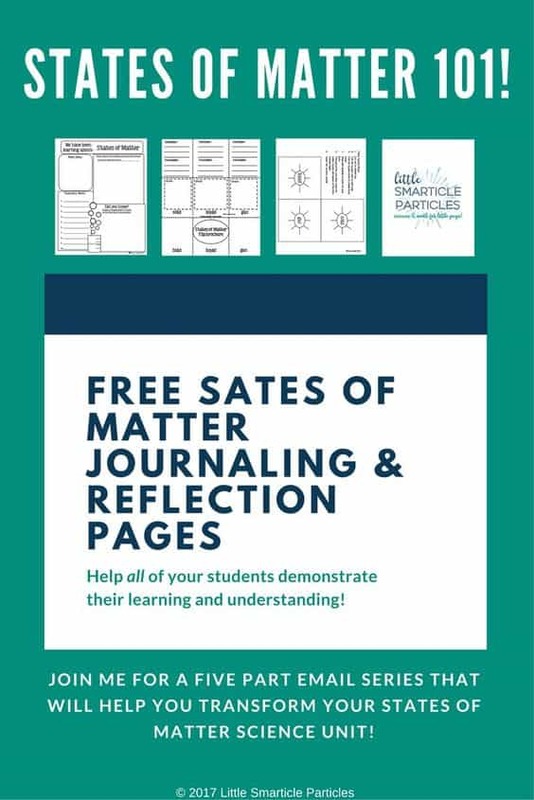 The states of matter journaling and reflection pages are hands-on, student centered activities that authentically assess student understanding, are differentiated and encourage your student’s participation. Karen Haster has a passion for creating curriculum materials that empower teachers struggling with either their own science and math confidence levels or with finding affordable, quality instructional materials. She believes that teaching science and math doesn’t have to be hard and that is something a homeschool mom can use some help remembering at times. I know I do, especially when I feel discouraged. Click here for Karen Haster‘s free states of matter journaling and reflection pages freebie.